Last year's OneTouch Idol X by Alcatel managed to stand out with its excellent value-for-money proposition, as it offered a crisp 5” 1080p display, 13 MP camera and dual SIM abilities for a third less than flagships with similar specs. 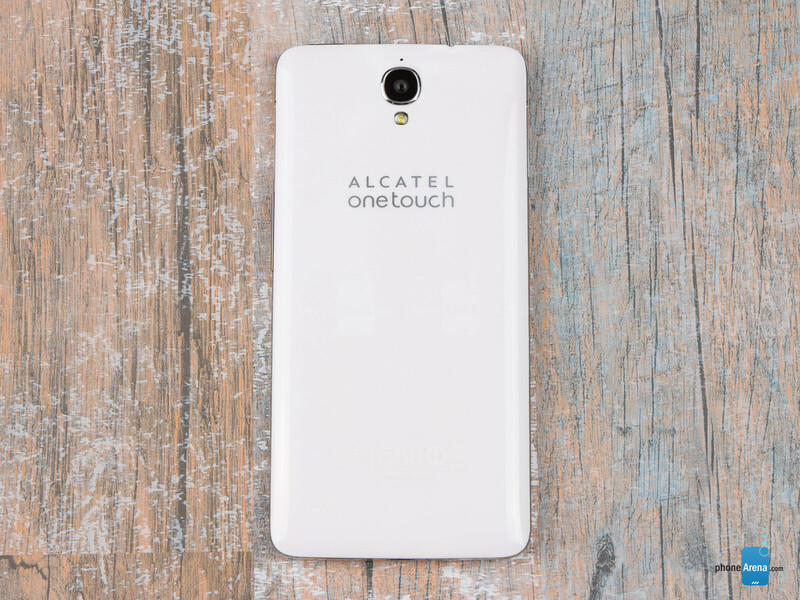 Alcatel recently outed a successor, OneTouch Idol X+, which goes for the same price a year later, and we are taking it for a spin, in order to determine if it's again a bargain offer. The dimensions are far from last year's elegant Idol X, but the X+ still flaunts a comparatively thin and light body, that is easier to hold with one hand than other 5-inchers. We have to admit that we approached the Idol X+ design with mixed feelings. 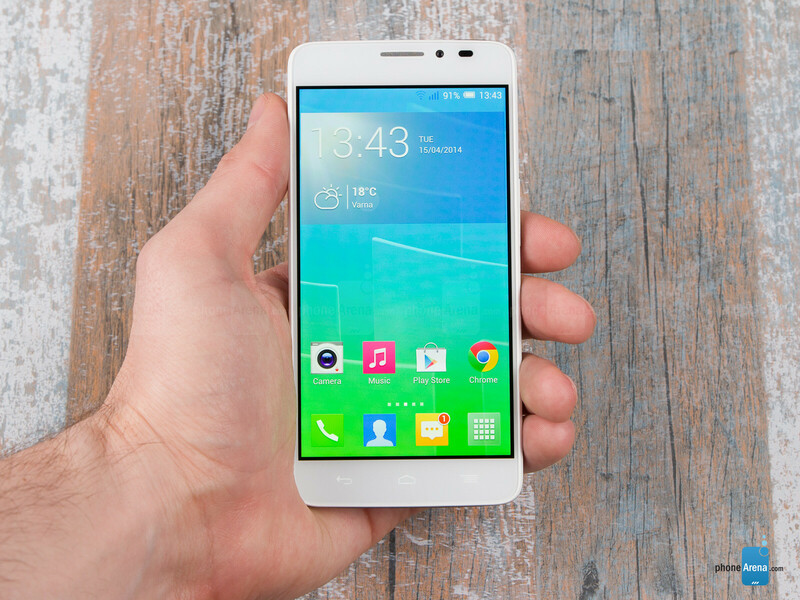 On one hand, it is sufficiently thin and light for a 5-incher, at 0.31” (8.1mm), and 4.59 oz (130g). 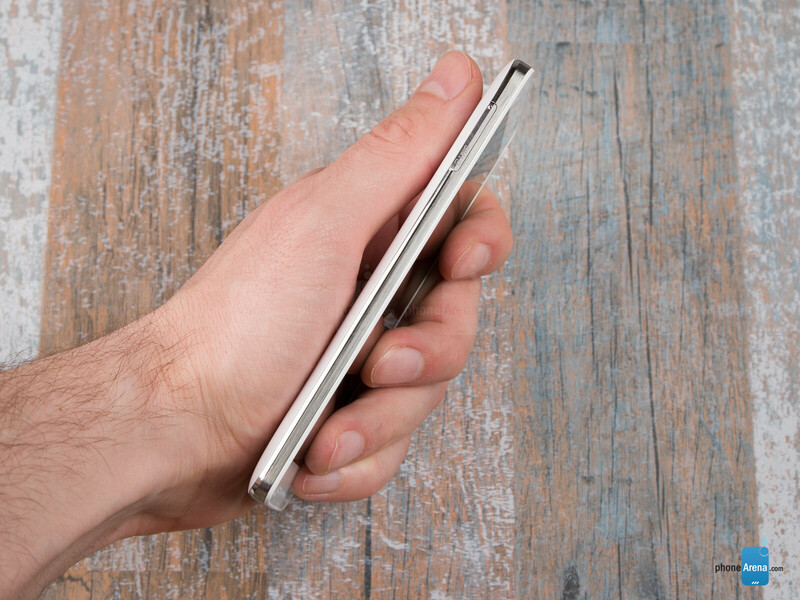 That's about as slim and heavy as the Galaxy S4, for example. On the other hand, it is not as svelte and feathery, as the 6.9mm Idol X, whose dimensions are really impressive for a 5” phone. Moreover, its glossy back feels a bit slippery to hold, again compared to the soft-touch plastic of its predecessor. What the Idol X+ inherits, however, is the metallic alloy frame around the side, that allows for structural rigidity in a comparatively light chassis. 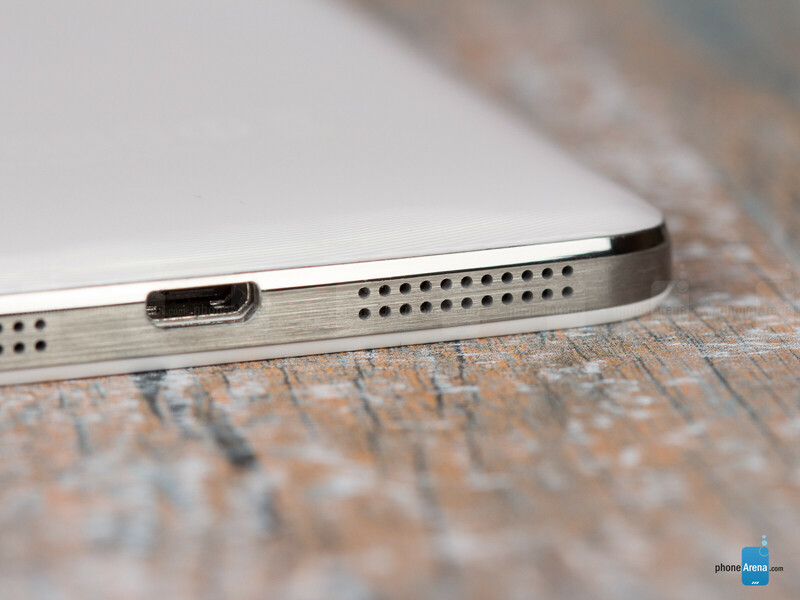 That rim wraps the phone around the sides, interrupted only with slim cutouts for the ports and buttons. 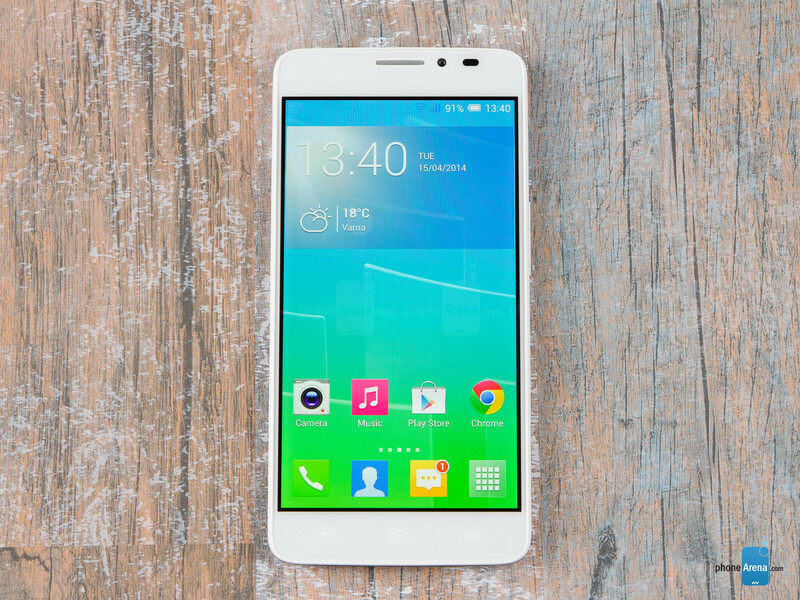 The elongated design of the Idol X+, with its wide top and bottom bezels, is comparatively easy to operate with one hand.. 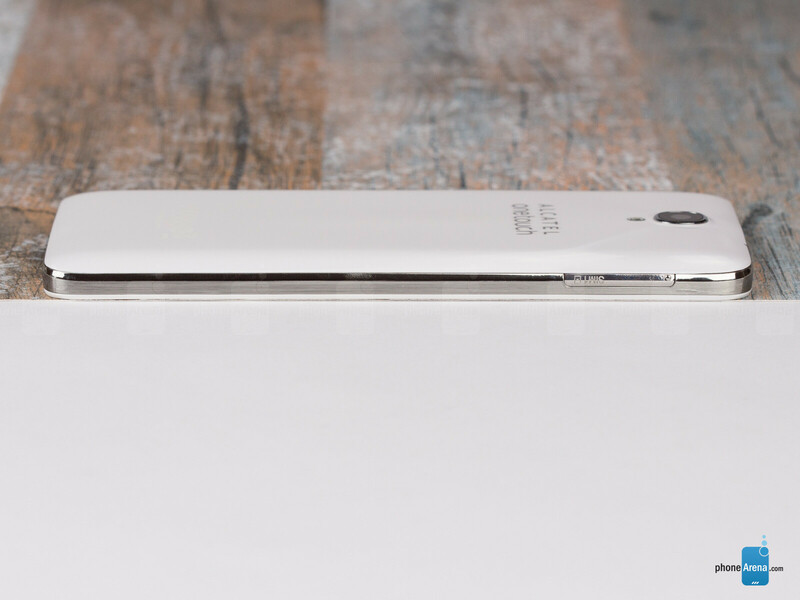 The phone is less wide than the Galaxy S4, for example, not to mention the largish S5, Xperia Z2 or HTC One (M8), all of which also come with 5” displays.. Our only gripe with the design of the Idol X+ is the power/lock key placed at the top, making it a literal stretch to press on such a tall handset. Both the lock key up top, and the volume rocker on the right, however, are easy to feel and press, with decent tactile feedback. 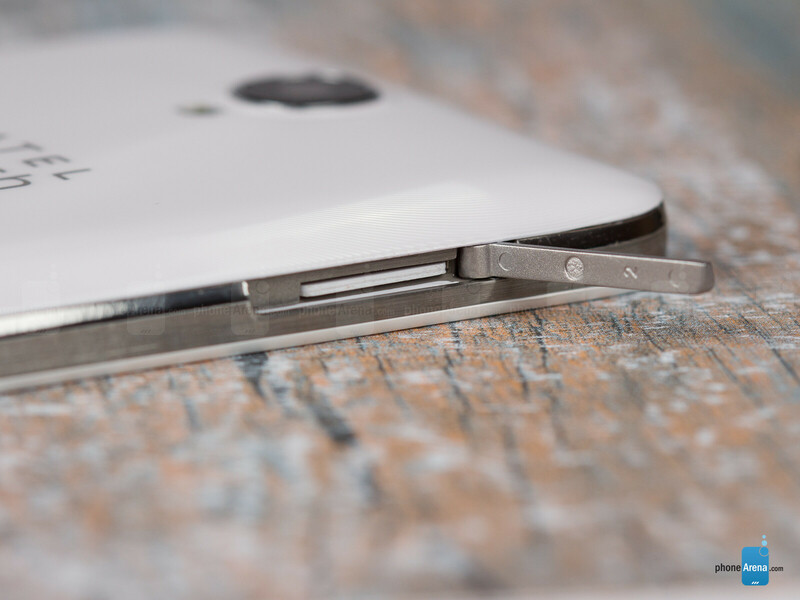 The sides also house two card slots - in our dual SIM version they are both for the carrier micro SIM cards, whereas with the single SIM variant you get a SIM slot and a microSD one. The protective flaps that cover those two card slots on both sides come with unorthodox design. They are completely flush with the metal rim around the phone, with only a small “pimple” protruding at their upper parts. When you drag it with your nail/fingertip, the flap opens up, so you can insert the SIM or memory card, then you can slap it back down, and a tiny magnet at the other end locks it in place, keeping it flush with the side surface, and almost invisible. The “pimple” is tiny, however, so it sometimes takes a while to pick it, and keep the flap open. There are three capacitive navigational keys beneath the display, which are not the most responsive we've tried, but do the job. They are, thankfully, backlit, and the white light sipping through matches the small LED notification dot next to the earpiece slit. There is also a 2 MP front camera up there, as well as an ambient light sensor which works like a charm, dimming the display gradually when the light goes down, or blasting it up outdoors. With the phone's promise for a “Hi-Fi” sound come JBL-branded in-ear headphones, and what looks like a dual speaker set grills at the bottom. These are not two speakers, however,, but rather mimic such an impression, while the phone houses just a single loudspeaker there. The 1080p display is sufficiently bright for outdoor usage, and very close to the reference white point, though some colors are off. The 5” 1080x1920 pixels panel is of the laminated IPS-LCD variety, meaning a tight, bright, low-reflection package, integrating the touch layer into the display itself. Its protection is guaranteed by the durable Asahi Dragontrail glass, which is similar to Corning's Gorilla Glass, and the brand that Alcatel works with on all of its recent phones. With 441ppi pixel density, the screen is a piece of beauty, showing no icon or text jaggies, even if you explore it up close and personal. The color representation is largely decent, when compared to the standard RGB gamut, with the most deviation occurring in the light blue and red hues. The 6289 Kelvins white point is excellent, and very close to the reference 6500 K, so you won't notice an overly cold or warm cast while using the display. The screen is pretty bright (we measured 447 nits), and with good reflection coating, meaning you won't have troubles viewing it outside, even as we tested under direct sunlight. Brightness and colors shift slightly at extreme viewing angles, but, again, nothing out of the norms for a good IPS-LCD screen. The IPS LCD screen on this phone looks gorgeous! it has a complete package ! This is an excellent device, your review says so. Yet, for unknown reasons, it got a lower score than last years device. This phone got a bigger update than the S4, yet it got a lowered score. That annoys me. Personally I think its an excellent device. Sure, I would love to have it upgraded, but the odds of that happening are nought. That said, not updating the device does offer stability, you can't get new software bugs on software that hasn't been update. I want this phone too. It seems that the reviewer does not even have the slightest interest in the device. They had it in their hands and all they can say about the battery life is "Alcatel still cites 12 hours of talk time in 3G mode", "Alcatel also claims 36 hours of continuous music playback from the Idol X+, which sounds credible". WTF? you had it in your hands and all you can say is that alcatel says this and says that? This should be reviewed again by someone more professional and unbiased. I must say you guys are so biased. You gave Grand 2 a score of 8.5/10, and 7.5 to X+ which is a much better device than Grand 2!! !